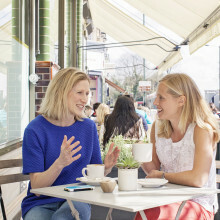 Can a Tinder-like app for mums really help find new friends? Mush says yes. It’s the new app founded by Katie Massie-Taylor and Sarah Hesz that will help you connect with local mums with kids the same age as yours. If you’re used to doing everything else with your smartphone (like working out how to solve night-terrors, looking up weaning recipes and free-shopping on Pinterest) then why not use it to connect to mums that are going through just what you’re going through? I’ve met some of the best people in my life through the ante-natal NCT group at my local church (that’s worth another post entirely) but there is always the chance that there is someone out there not in the NCT who could help kill the crushing loneliness of being at home with a baby, share emergency swim nappies and laugh at your breastfeeding accident that you just haven’t met you. 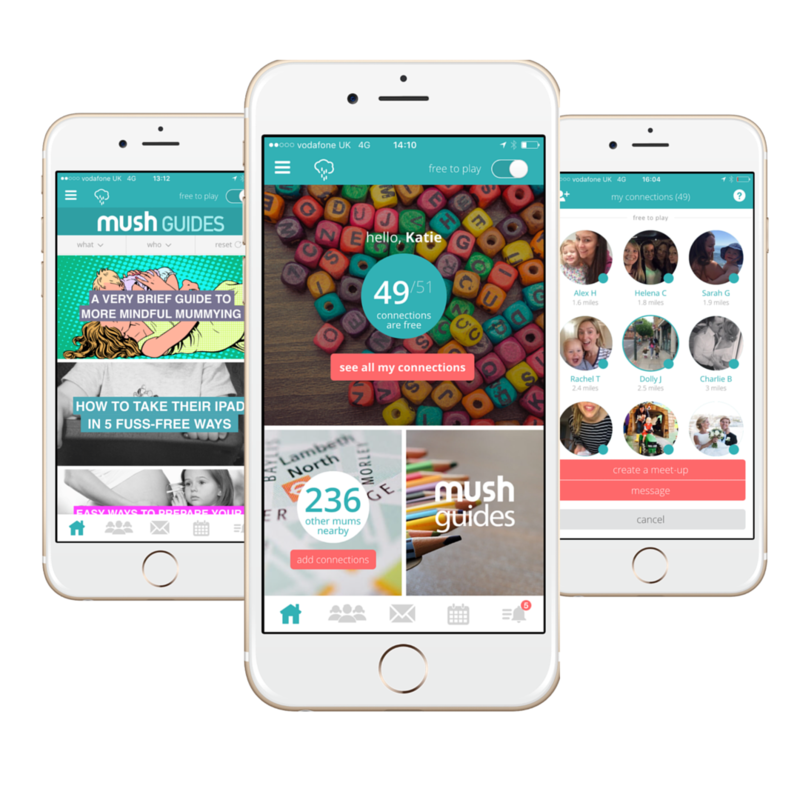 Sarah and Katie tell us in their own words why we should download Mush and swipe (is it left or right?!) on their new app. Can you both please tell me in your own words about being creative mums? How do you do it?! No really, how? Creative? Are we?! We responded to a genuine need of ours to make more mum friends, and then we needed to make pitch decks prettier and do brainstorm sessions, and do basic designs. One thing led to another and we have wound up with an app! Help and feedback along the way has been incredibly helpful. 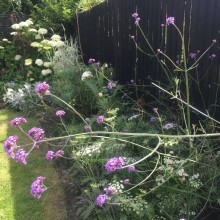 But creativity is just about tapping into something that isn’t the daily norm- for us, a break from babies to focus on this project was a welcome break, and the juices flowed! Who makes up both your families? I (Katie) have a three year old Tilly and a one year old Lyla. Sarah has a three year old Rosie and a one year old Leo. Our husbands are by now long-suffering, but very supportive! How and when did you come to start Mush? Was there a magical moment you knew just what you had to do? We hope mush will genuinely help mums. Especially those with tiny kids, those pregnant or having their second and thirds. It can be such an isolating time, and you need support and a cuppa and a giggle, with people that get what you are going through. We feel so passionately about it! We are spending every spare minute improving the product and responding to some great feedback from the 10,000 mums already signed up! What the hardest part about it is – is it managing the kids or something else? We are really lucky to have two great nannies who we trust implicitly with the kids. They are brilliant and the kids are happy. We often get back to the worst part of the day (them tired, us tired, teatime, bath time!) which is a bit of a blow after a long day (it starts super early, as I’m sure other parents can relate to!) Juggling is the hardest thing. Being 100% focussed on your children when you have 50 emails in your inbox. I think every mum, working at a paid/not paid job, has the same pressures.